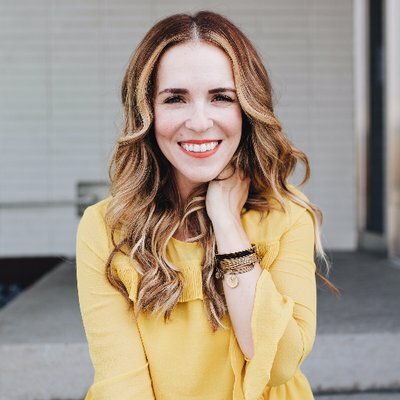 THE WOODLANDS, TX (February 1, 2018) — Interfaith Community Clinic is excited to announce that Rachel Hollis, New York Times best-selling author of “Girl Wash Your Face” and founder of thechicsite.com and the “Let’s Rise” conference, will be the featured speaker at the sixth annual Women Empowering Women (WEW) luncheon. Presented by CHI St. Luke’s Health, the luncheon will be held at The Woodlands Resort and Conference Center on Friday, February 1, 2019 from 10 a.m. to 2 p.m. Event planner turned lifestyle blogger, Hollis has captured the admiration of millions with her no-nonsense approach to navigating family life, friendships and a career with flair. This fame has launched a lifestyle brand and media empire, including novels, cookbooks, podcasts and a whirlwind speaking tour. Her central message focuses on working through life’s everyday chaos while intentionally and unapologetically creating the life you were meant to live. On the lighter side, Hollis’ blog covers a wide array of topics, including her experience with raising four children, what to make for dinner, innovative home décor, planning regular date nights, making realistic career goals and loving your tribe. Rachel has been called the “Tony Robbins for women” and has been a regular on Hallmark’s Home and Family; a contributor on The Steve Harvey Show, The Nate Berkus Show and Harry; and has appeared as a lifestyle expert on Today, Rachel Ray, The Talk and Extra. She’s had product on QVC and is a spokesperson for brands like Rubbermaid, the Dairy Board, Huggies and Walmart. She was previously named one of Inc. Magazine’s Top 30 Entrepreneurs Under 30. Proceeds from WEW benefit Interfaith Community Clinic. “The clinic serves the uninsured and underinsured of Montgomery County with preventative care visits, routine medication refills, dental cleanings and vision screenings. 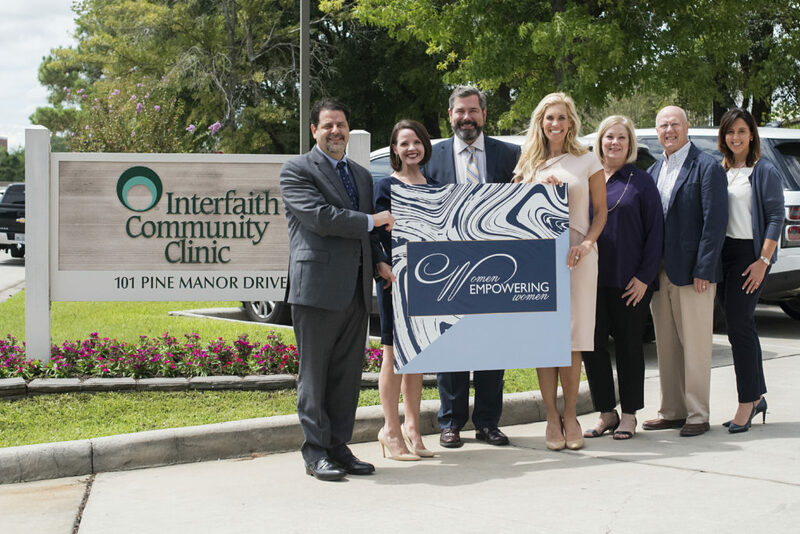 We provide a medical home for those who ordinarily would not be eligible to receive baseline medical care, whose symptoms can worsen into serious illnesses requiring hospitalization if left untreated,” said Dr. Jack Lesch, Medical Director of Interfaith Community Clinic. Interfaith Community Clinic opened its doors in 1996 to meet the medical needs of the uninsured population. As the community has grown, so have the services offered at the Clinic. Today, the Clinic continues to provide high-quality basic medical and dental care, counseling and patient services to individuals in need, as well as regular education and community outreach. A volunteer staff of licensed physicians, nurses, medical providers, dentists, dental assistants and dental hygienists, as well as translators and support personnel, work together to provide patient care. Programs are provided free of charge and are funded by the generous financial support of grants, faith-based organizations, businesses, civic groups and individuals. Representing CHI St. Luke’s Health: Jim Parisi, President, Amanda Sanders, Director of Marketing and Communications, David Strickler, Vice President Finance, and representing Interfaith Community Clinic: Missy Herndon, President and CEO, Anita Phillips, Director of Operations, Dr. Jack Lesch, Medical Director, and Carolyn Donovan, Director of Development. Rachel Hollis, New York Times best-selling author of “Girl Wash Your Face” and founder of thechicsite.com and the “Let’s Rise” conference.